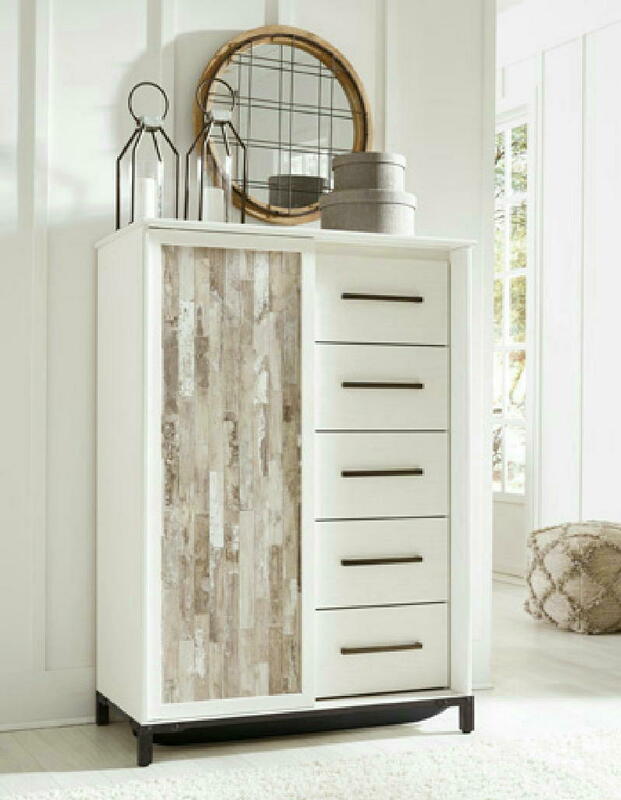 Multi-toned vintage white painted finish with subtle replicated woodgrain and a replicated gray woodgrain block pattern with authentic touch. Sleek contemporary handle in a dark gunmetal finish. Full case bottom supported by metal feet. 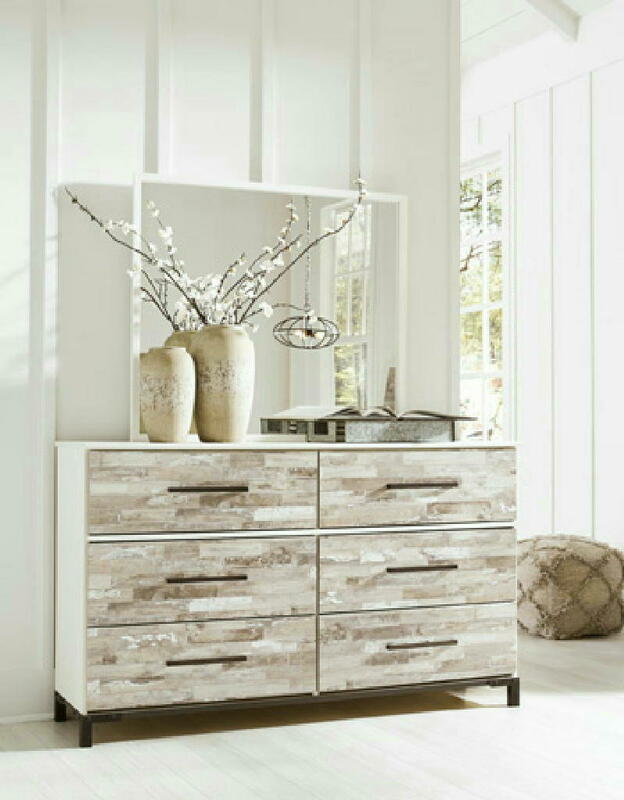 Dressing chest with a slider door reveals open storage with adjustable shelves and five drawers. Side roller glides for smooth operating drawers. 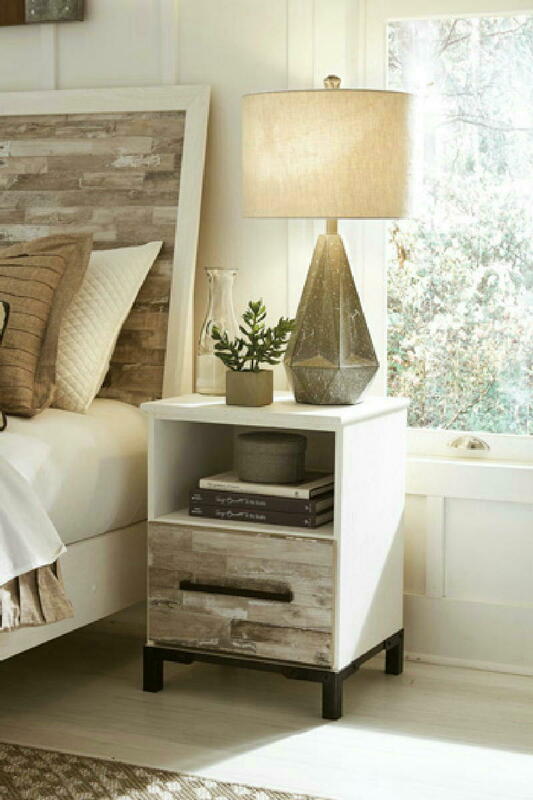 Slim profile dual USB charger located in the back of night stand tops. Extra wide chest for added storage. 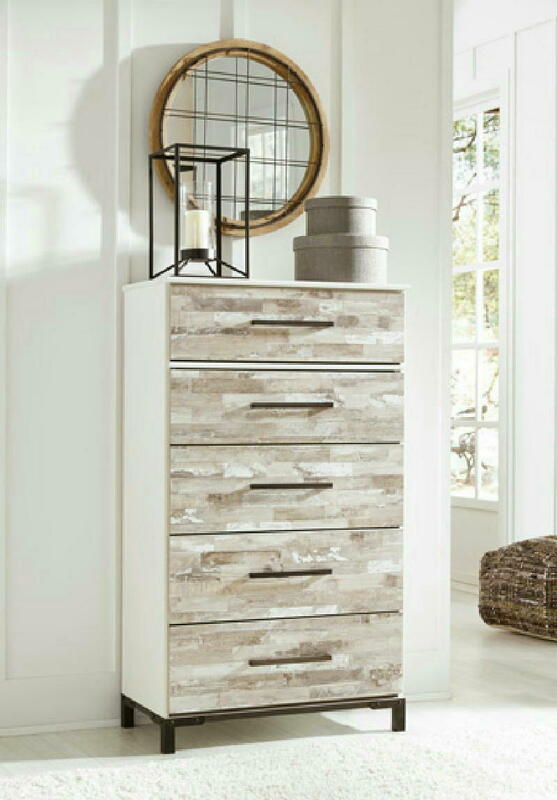 Drawer interiors are lined with a faux linen laminate for a clean, finished look. Queen 57 and king 58 headboards can attach to a bolt-on metal bed frame B100-31 or B100-66 respectively.